It’s long been known that red meat is bad for us. An Internet search for “red meat (anything)” results in countless articles, research papers and health advocates cautioning us from consuming too much red meat, if any at all, due to the connection to many serious health conditions including heart disease, diabetes, brain disorders and cancer. Because of this reputation it’s become the standard recommendation that red meat should be an indulgence and not a main part of anyone’s diet. Not surprisingly the more certain people have been about this the more I wonder if our recommendations could use some rethinking. Here’s the thing about this little health presumption: it’s never actually been proven that red meat causes any of these things. It was a hypothesis a few decades ago that was explored and soon became an assumption after some researchers found a connection between red meat and heart disease. Then instead of people trying to validate if this assumption was correct we moved right into finding why red meat is bad for us and started to cement the presumption that it’s something we should limit or avoid entirely. Before breaking down the evolution of this red meat presumption let’s look at the words I italicized above. 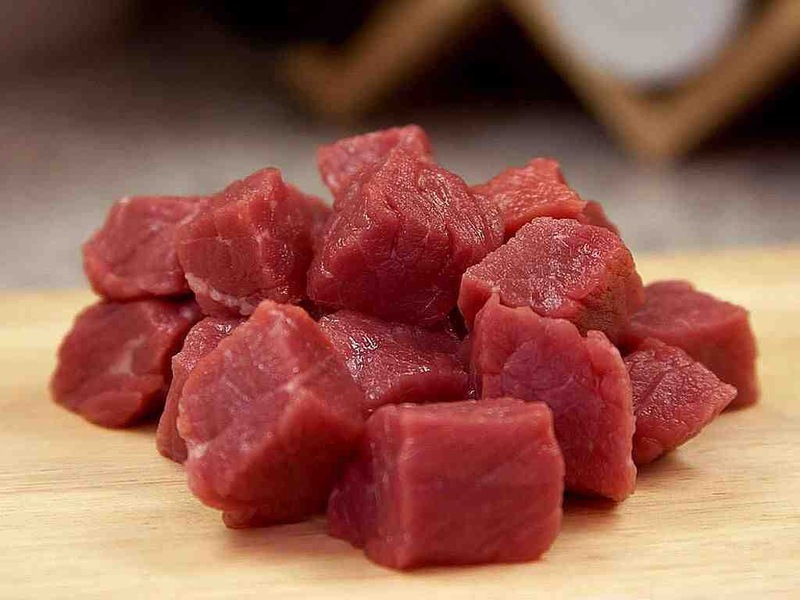 Despite not having much historical or evolutionary reason, in the middle of last century it was hypothesized that red meat might have some connection to heart disease. Researchers tried to test it and found a few “links” between red meat consumption and heart disease. It was only a correlation (and based upon weak data collection and influenced by several other variables according to many opposers) but it started to gain some momentum as being true. So after more time and some more correlational links being confirmed (although not consistently and still never causative), people stopped asking if it was true or not and started to search for why eating red meat would cause heart disease. Cholesterol was getting some attention at the time in connection to heart disease so that became the new angle on the red meat hypothesis and quickly shifted to the forefront of the discussion. This resulted in the “red meat being unhealthy” hypothesis (a.k.a. possible suspect) becoming more of an assumption (a.k.a charged with guilt) even though it had never been really established as more than a weak correlation. As more time passed and more people, including the public, operated under the red meat assumption, it became a presumption (a.k.a. case closed) and nutrition science was tasked with proving it was right after the fact. The inherent problem was that they couldn’t find the actual reason why red meat was killing people. The cholesterol hypothesis never materialized (even though it was around long enough to become a widely accepted presumption as well) so a new hypothesis was formed and the focus shifted to saturated fat. Researchers looked to convict saturated fat as the reason red meat was bad because it had to be something else. The same process ensued: some research found some correlation so the hypothesis turned assumption and then after enough time became presumption. As many of you know, the saturated fat angle has dissolved over the last decade leaving nutrition researchers looking for something else. Recently they found a bacterial connection that was proclaimed as the reason that red meat was unhealthy. This attempt on conviction was short lived and dispelled quickly as many problems were exposed with that conclusion before it ever reached an assumptive level. Now, not more than a year later, another group of researchers claim they have found a sugar related molecule in red meat that causes an immune/inflammation response which leads to all the health problems. This conclusion also has quite a few detractors and can be pretty easily rebutted already so it looks to be yet another misguided attempt to prove the red meat presumption. When are people going to ask themselves this: If we have a conclusion that we can’t seem to prove no matter what we come up with, is it possible that our conclusion might have been wrong? Is our red meat presumption merely an interesting hypothesis that didn’t quite pan out? Is it possible there was something else going on that contributed to this supposed connection between red meat and disease? My thought on all these questions is yes. Despite history and common sense arguing against the original hypothesis, after we found a relationship between red meat and heart disease I understand the original hypothesis. Because I am familiar with nutrition science I also understand how it moved to an assumption without any established causation and how, even though there is nowhere near “all evidence in” proof, it has become a presumption. What I don’t understand is why it’s taking people so long to realize that they might be chasing a wild red meat goose. I’m sure we are long from the end of the chase but it will be interesting to see how it plays out. If history is any indication, I’m waiting for the tide to turn and red meat to not only be cleared of all charges but proclaimed as healthy. Whoops, sorry about all that red meat being dangerous stuff, we were a little wrong. Now get out there and enjoy a nice nutritious steak! P.S. I came across a nice podcast the other day that covers this in much more detail, particularly the specifics of the science/research. You can check it out here.